Please review below the photograph and instructions on how to attach your new belt buckle. 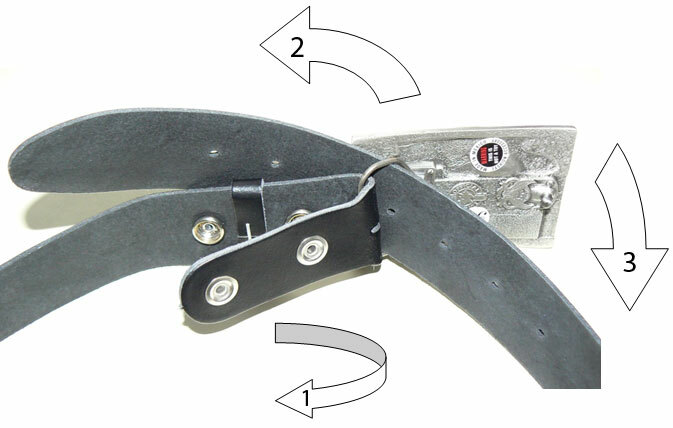 Once you have purchased a compatible belt, you should first slip the end with the poppers through the buckle loop. To secure it in place you then snap the poppers together. Next, thread the belt through the belt loops on your trousers and then through the buckle loop as well. Finally, firmly press the buckle hook through one of the holes in the belt.